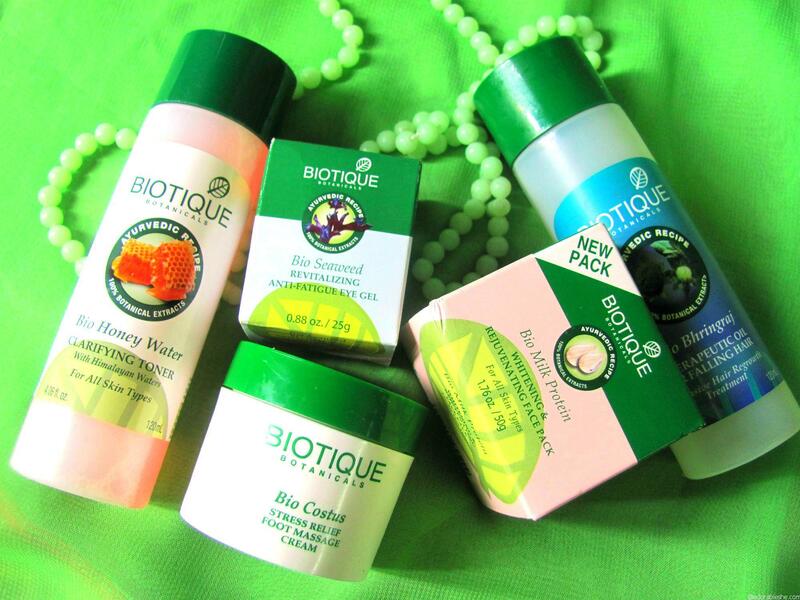 The characteristic feature of Biotique cosmetics are its ingredients regarded as highly typical elements of traditional Indian medicine. One of Biotique’s best-sellers is a therapeutic oil called Bio Bhringraj, which is famous for its hair growth accelerating features. How does it work? Why does it work? You are going to find the answers below. Therapeutic oil Bio Bhringraj is a cosmetic of healing action that was designed obeying the rules of the traditional Hindoo medicine. Acceleration of hair growth and elimination of weak hair problems are a matter of ideally set proportions of the best substances taken directly from nature. The Ayurvedic tradition is a synonym of efficiency. What can be found in the composition? This natural hair oil by Bio Bhringraj is a concentrated formula of the finest Indian ingredients, which are expected to solve the problem of baldness. What is interesting, Fresh Growth Therapeutic Oil for Falling Hair does not only counteract excessive hair loss but also copes with scalp disorders. Massaged into head (circular movements) also helps with growing out baby hair and eliminating problem of premature greying. Complex nourishment of scalp and reinforcement of follicles make that only 30-minute sessions performed before shampooing produce desired effects in a form of improved condition of strands.